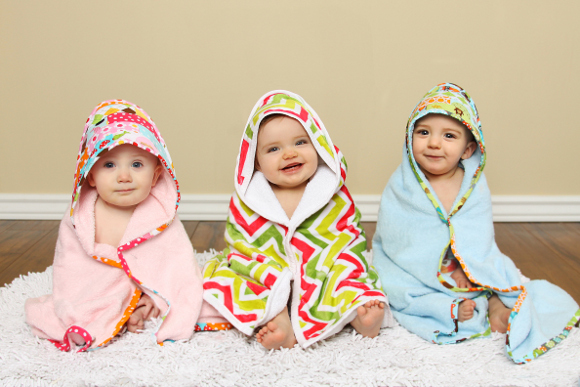 The Scrappy Hooded Towels by Clover & Violet. 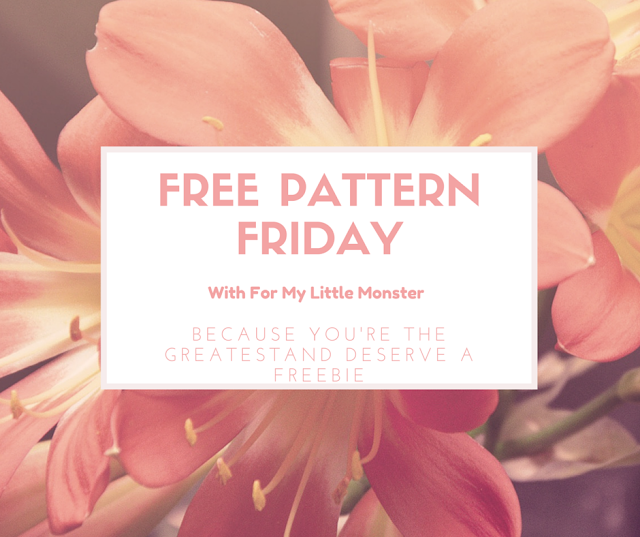 this pattern is going to be very helpful for me! 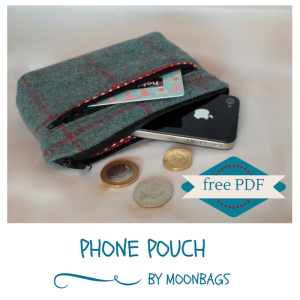 The Phone Pouch by MoonBags. 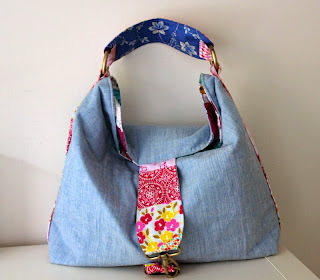 This one has been added to my to-do list, it would make a great gift and it's cute too! 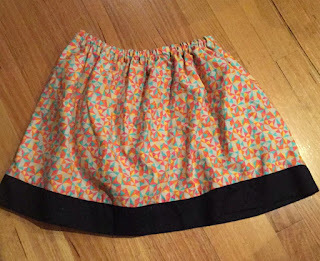 So I sewed it up, and I'm sorry to say it was just the wrong shape for me! 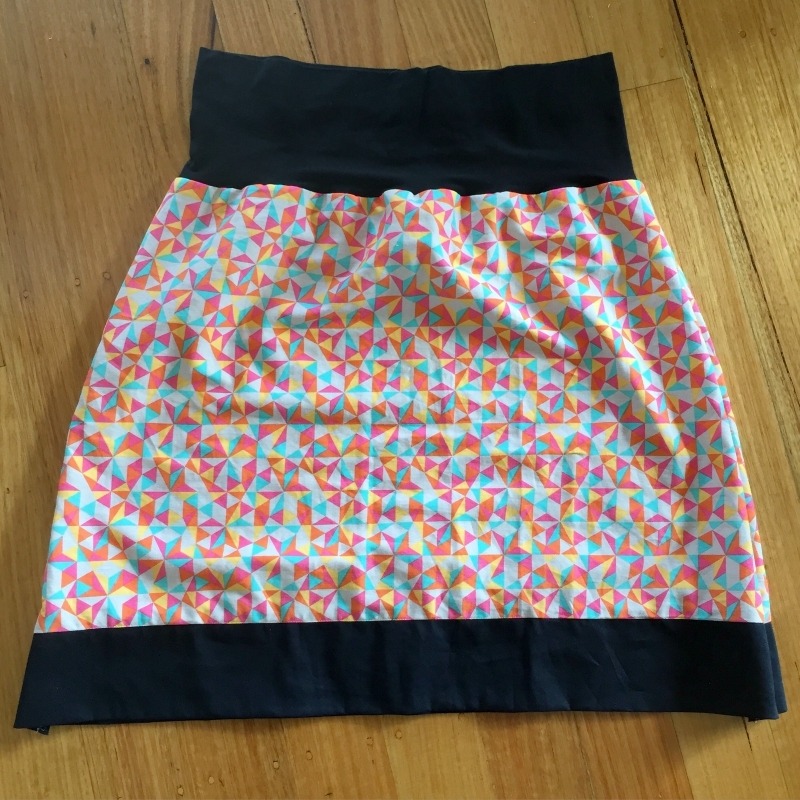 I was quite disappointed as I loved the fabric so much! (The fabric was from Spotlight). Have you ever created someting you thought would be wonderful and it turned out to be truly awful?! 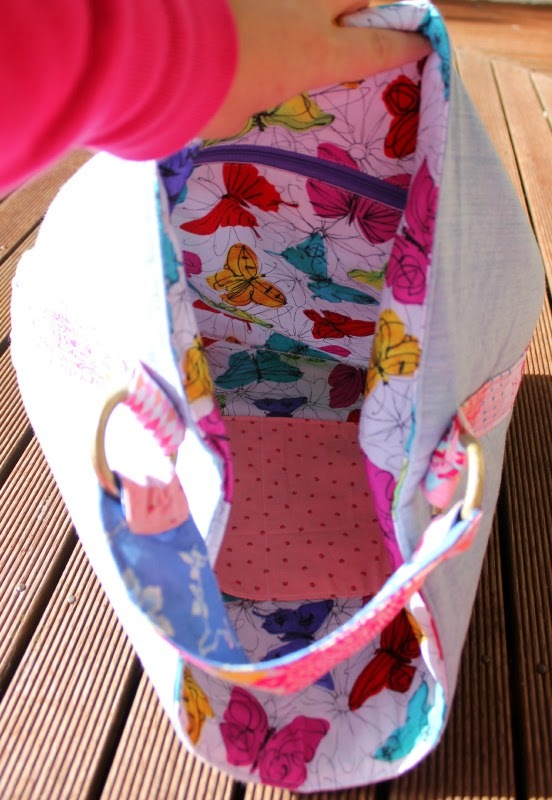 Did you fix it or put it in the bin? 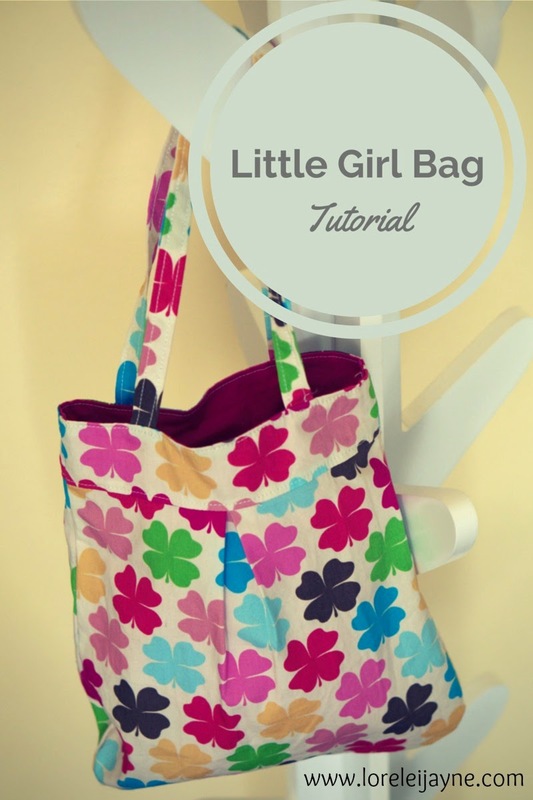 The Little Girl Bag by Lorelei Jayne. 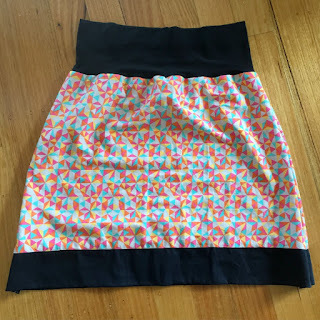 This one is seriously cute! 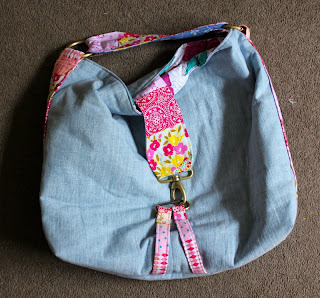 A LONG time ago (in Jan/Feb 2015) I tested Mrs H's latest pattern...her Hobo Bag. I have had to keep it a secret for soooooo long! Do you know how hard that was? It was so hard, as I just wanted to shout it from the roof how wonderful this bag really is! 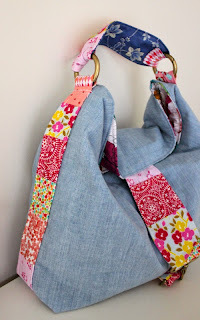 My version of this bag is made using some scrappy panels, that are great for clearing out some of the unused scraps that I know we all have! I made my version with scraps from my "pink" box, and I paired them with a 1/2m Japanese linen that I purchased in a closing down sale, and another 1/2m of a cotton poplin butterfly print I purchased AGES ago at spotlight. 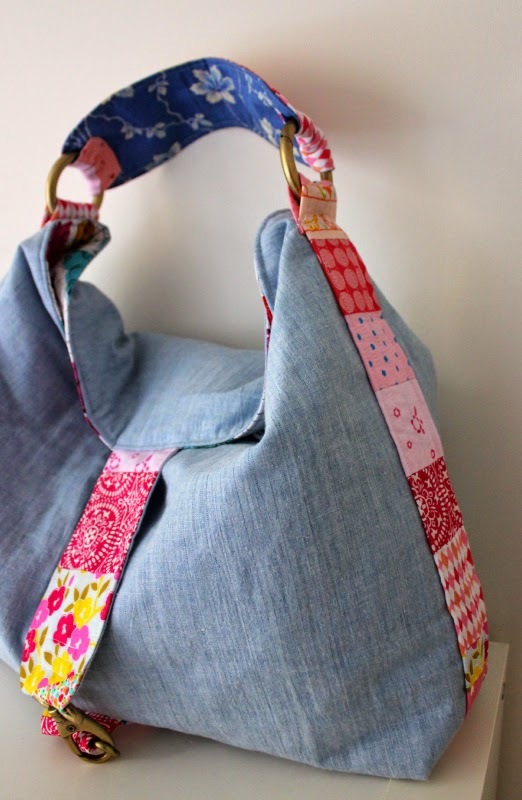 I didn't have quite enough of the butterfly print or the linen for the underside of the shoulder strap (as you can see in the photo above), so I used a scrap from my "blue" box that seemed to be the closest, I could find in there, to the linen. 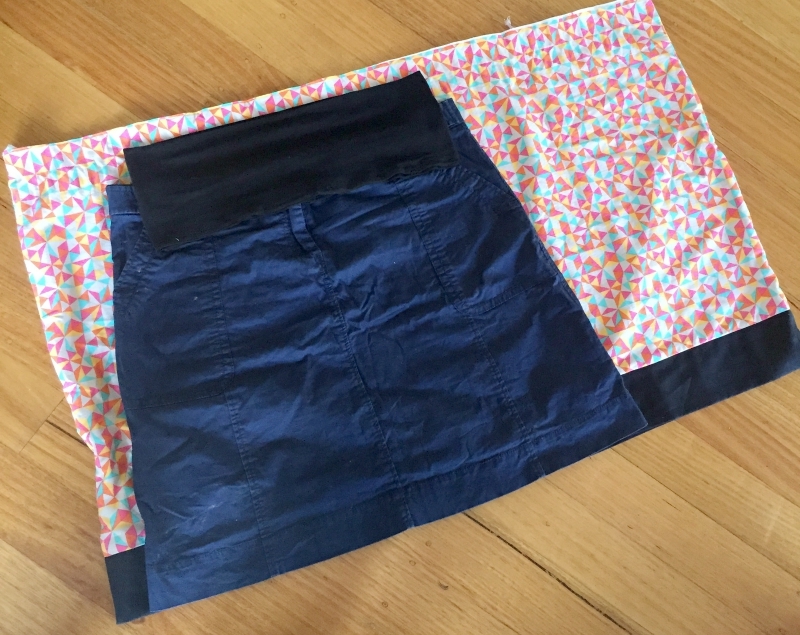 Inside there are both zip and slip pockets. I have made mine with more scraps from my "pink" scrap box. Will I cook it again? Did the kids eat it? What do I score it? Did I add or subtract anything from the recipe? I used Coconut Cream insead of Coconut Milk and I added a whole jar of the curry paste. I did this as I had more Coconut Cream than the recepie called for. Would I add or subtract anything from the recipe next time? What recipes will be coming up soon? Corn on the cob - it's not one of my favourite sides, but the Boys in this house LOVE corn! Butternut squash and coconut risotto - we are big pumpkin risotto eaters in this house so this will be a must try. Do you have any favourite recipes you think I should try? Leave a comment for me if you do! 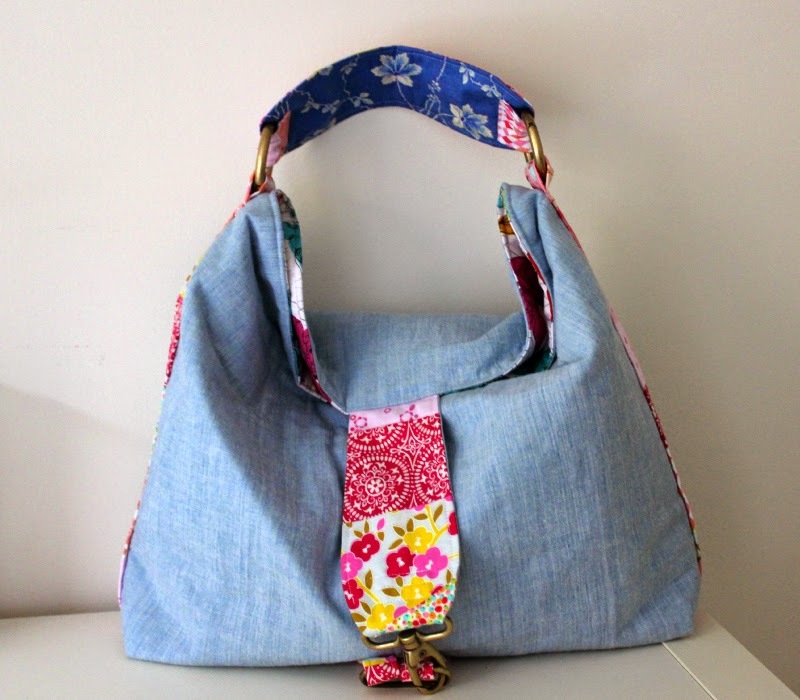 The Dresden Petal Handbag by Jemima Bean.